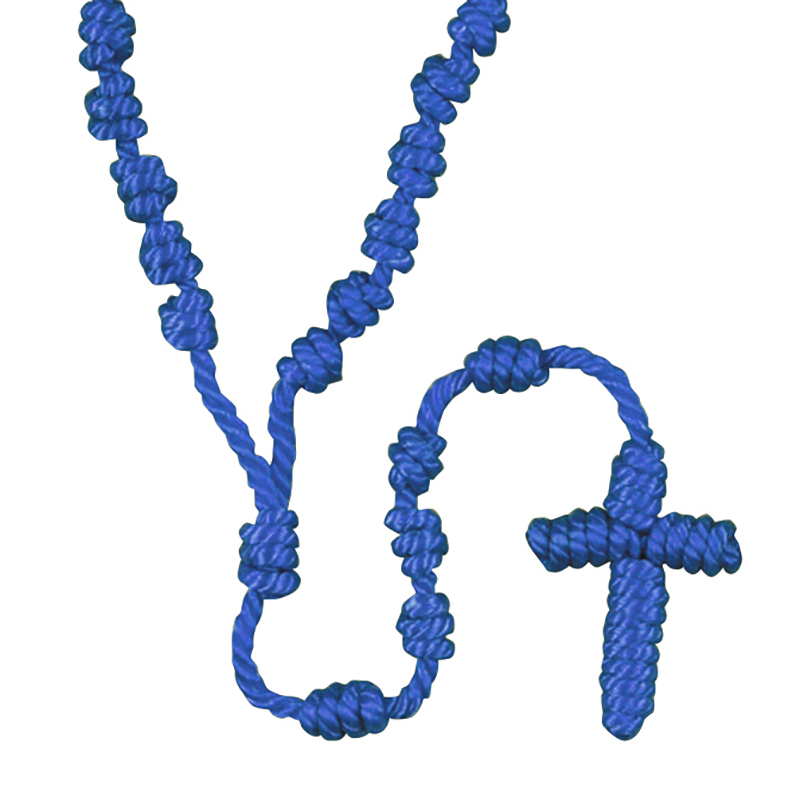 You'll just love these Blue Knotted Cord Rosaries! No metal parts to tear trouser pockets or purse linings. Inexpensive enough for give-away. Perfect for Catholics of all ages. Blue Twine 20" L, Cross 1 3/4"